For the last five years, Mallory Morrison has been honing her skills in underwater photography, constantly experimenting with new processes and concepts. Originally a dance photographer, Mallory blended her photography skills with her twenty-four years of dance experience, bringing about a perfect marriage of her two passions. Mallory's evolution into underwater photography allowed her to introduce another element to this union and extend the range of her talent even further. 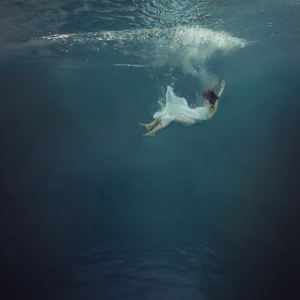 Her use of professional dancers in an underwater environment allows Mallory to challenge the boundaries of people photography - utilizing weightlessness to tell stories which explore the depths of movement and composition. Although fine art work is what keeps her inspired and evolving as an artist, Mallory is also an accomplished commercial underwater photographer. Mallory's commercial work for magazines, ad agencies, and musicians has garnered international acclaim; she has received multiple awards in recognition of her fresh vision on digital imagery potential. Mallory was recently named one of the top three commercial and fashion underwater photographers by Scuba Diver Magazine: Through the Lens, the only internationally published magazine for underwater photography.